The number of towns in Bohol which do not have fire stations has gone down to seven from 11 last year as the Bureau of Fire Protection (BFP) Bohol continued its efforts to establish fire stations in each of the province’s 47 towns. This was reported by acting provincial fire marshal Chief Insp. Randy Mendaros to BFP 7 director Chief Supt. 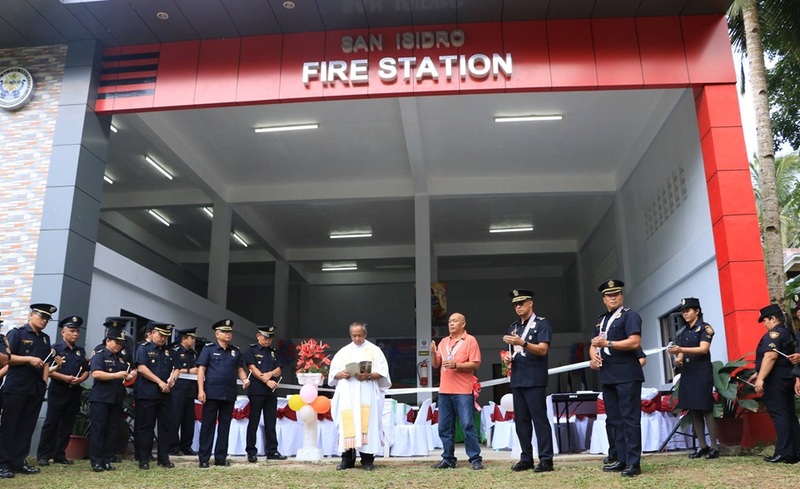 Gilbert Dolot during the inauguration of the San Isidro Fire Station on Wednesday. Dolot, along with San Isidro Mayor Jacinto Naraga, led the inauguration and blessing of the new facility. According to Mendaros, the municipalities of Loboc, Corella, Lila, Danao, Getafe, San Miguel and Duero still do not have fire stations. Lots however have already been allotted for the site of fire stations in Loboc, Corella, Lila and Danao, he said. The BFP and the local government units of the said towns continued coordination to seek funding and lots for fire stations. Meanwhile, the towns of Dauis, Alicia and Carlos P. Garcia which have BFP personnel and firefighting vehicles and gear are operating out of temporary facilities. The three towns are expected to have completed fire stations within the year, said Mendaros. A P7.3-million budget has been allocated for the project, he added.